The Asper Center for Global Entrepreneurship at Brandeis International Business School and the Schusterman Center for Israel Studies present the Innovation in Israel: Economy and Society conference. Conference recap: Read Exploring Israeli innovation ‘from all angles’ in BrandeisNOW. 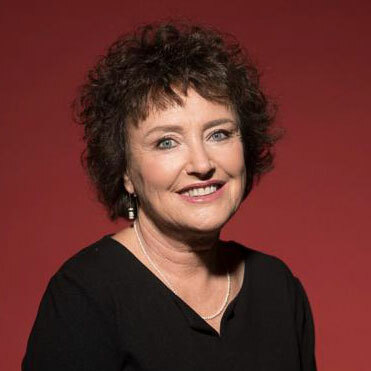 Dr. Karnit Flug served as the first female Governor of the Bank of Israel, overseeing the design and implementation of Israel's monetary policy from 2013 to 2018. She is widely credited for maintaining stability and supporting growth in the Israeli economy. The Asper Center for Global Entrepreneurship will present the 2019 Brandeis Alumni Entrepreneurship Award to Ohad Elhelo ’16, IBS MA’17. The award is given to Brandeis graduates who best exemplify the entrepreneurial spirit and independent thinking celebrated by the Asper Center. The Asper Center, named for its founder Leonard Asper ’86, is Brandeis University’s platform for the teaching, study, and promotion of global entrepreneurship. We gratefully acknowledge the generous support of the Asper Center for Global Entrepreneurship at Brandeis International Business School and the Charles and Lynn Schusterman Family Foundation.